The monks sitting in the glass house are able to sustain chanting for hours on end. There are only minimal breaks of a minute or less before proceeding from one portion of ritual to another. This surely means they are in an altered state, cultivated by years of practice, created and sustained by the chanting. 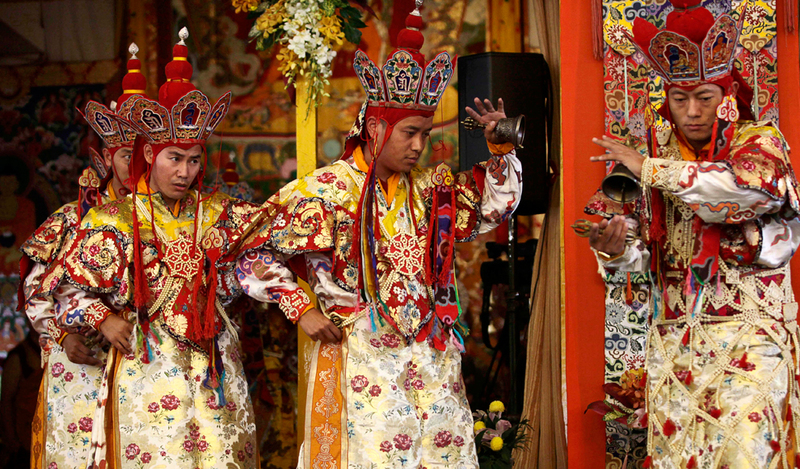 These are practiced monks who have taken years to master the liturgy of the Kalachakra. On Monday, the 9th, a week after our arrival, the ceremonial dance is performed by a dozen men in elaborate costume. The main color scheme is gold and red with intricate embroidery. The dance, slow, graceful, repetitive, while simultaneously chanting, took an hour to complete. Everything done here, as with all tantra, every prayer, deity practice, guru yoga, prostration, is done with the same intention—to use everything available to develop and train the mind, to remain focused and to eliminate distraction. 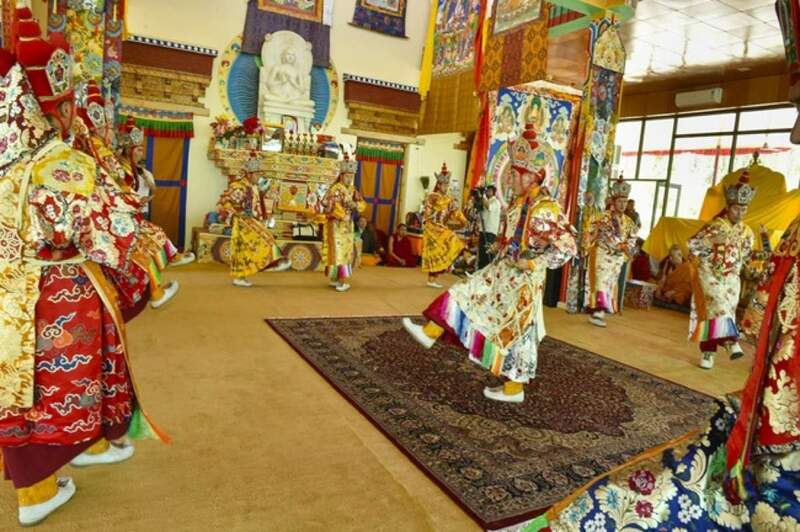 Every one of the monks leading the prayer process, every one of the dancers, those creating the mandala, has a Ph.D in liturgy, philosophy and in concentration. Every day their practice is to induce an altered state, a shamanic field which is projected to the entire space, and by which we receive benefit by participating, constructing our own version of that intention to enter clarity without distraction, to jump on the wild horse of our own inner world, not so much to tame it or to wrestle it into submission, but to learn what it really is. 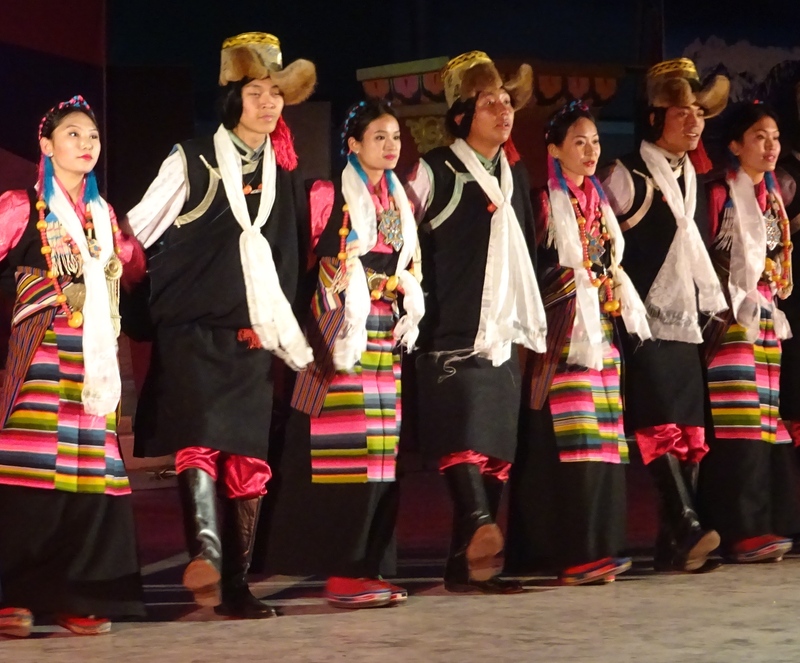 As the performance and chanting began, another group of dancers gradually appeared on the platform, singing their own high-pitched folk song, a group of male and female dancers from the Tibetan Folk group I had seen perform a couple nights earlier at Tergar Monastery. The photos here are from that event. The first dance group was followed by another, a continuous string of folk song superimposed on the slow dancing and the deep tones of the ongoing prayers. 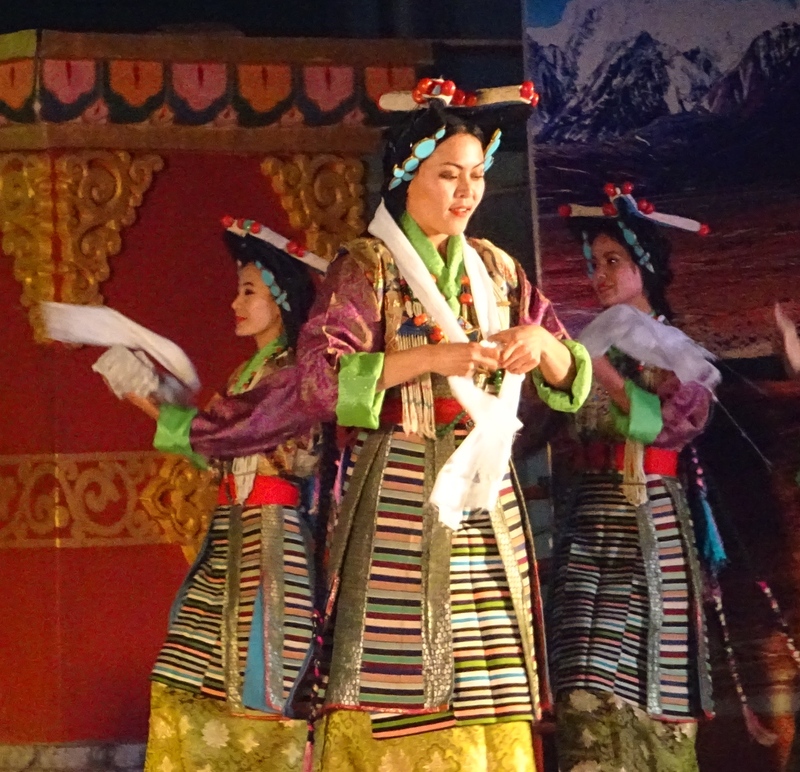 The juxtaposition of the chanting and the folk groups dancing and singing an entirely different melody from the ceremonial group was distracting at first, then mesmerizing. A friend described it as a literal representation of the relative and the absolute, the apparent dichotomy between the worlds of the mundane and the miraculous we occupy simultaneously. 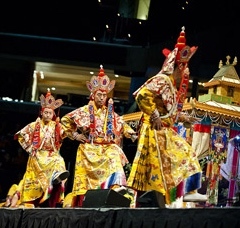 The spectacular color and beauty of the costumes, the trance-like grace of the slow motion movements, the chanting, all an offering to the Kalachakra deity, the modern overlay on ancient practices was all a particularly affecting display. 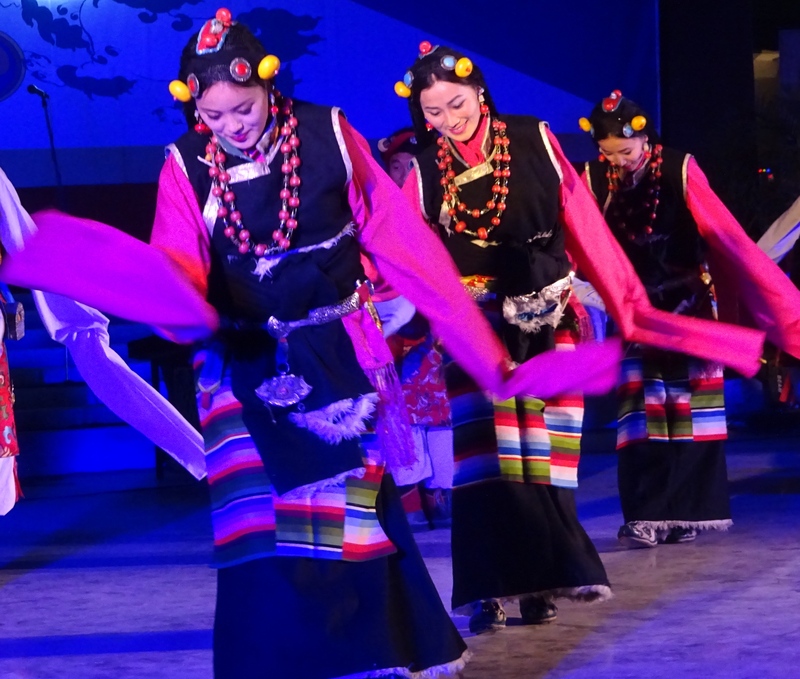 I was transported to memories of the achingly poignant high-pitched trill of Yungchen Lhamo, singing for freedom, directly from the crushed and broken heart of the Tibetan people. Millions of Tibetans live outside their homeland. 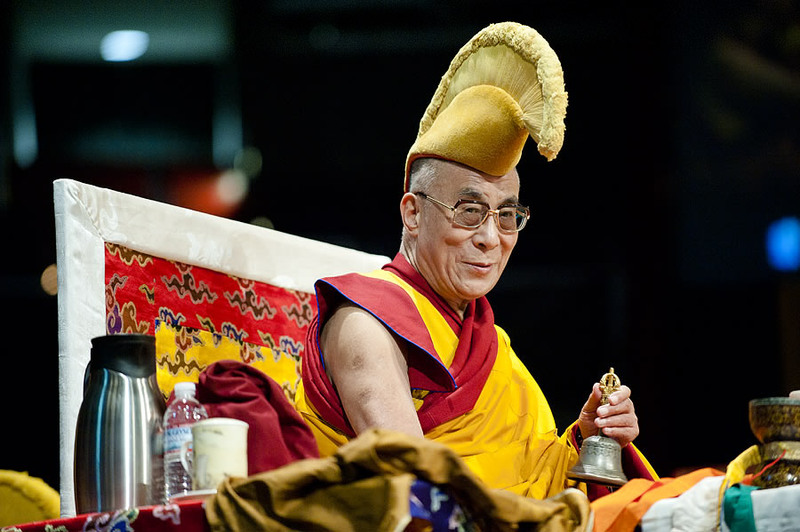 There are now two generations that have never been and will not likely return to Tibet. 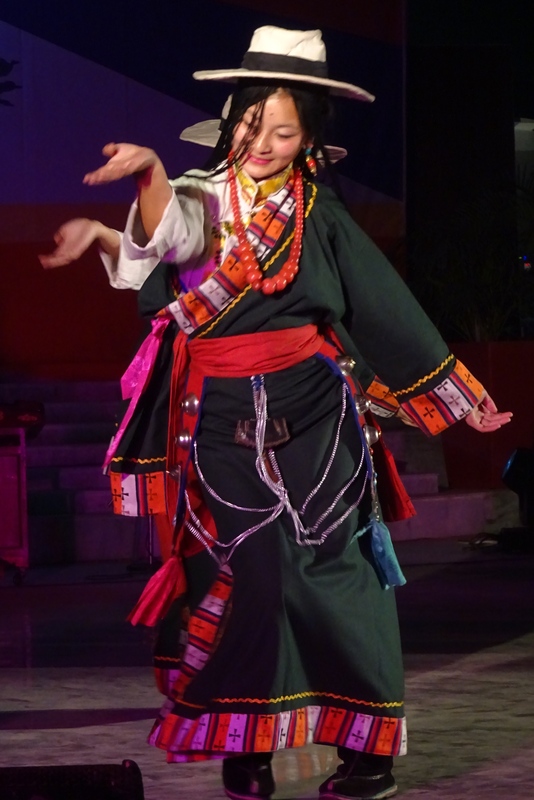 Many of the younger people have never witnessed either the magic of the ritual nor the folk dances they saw today. 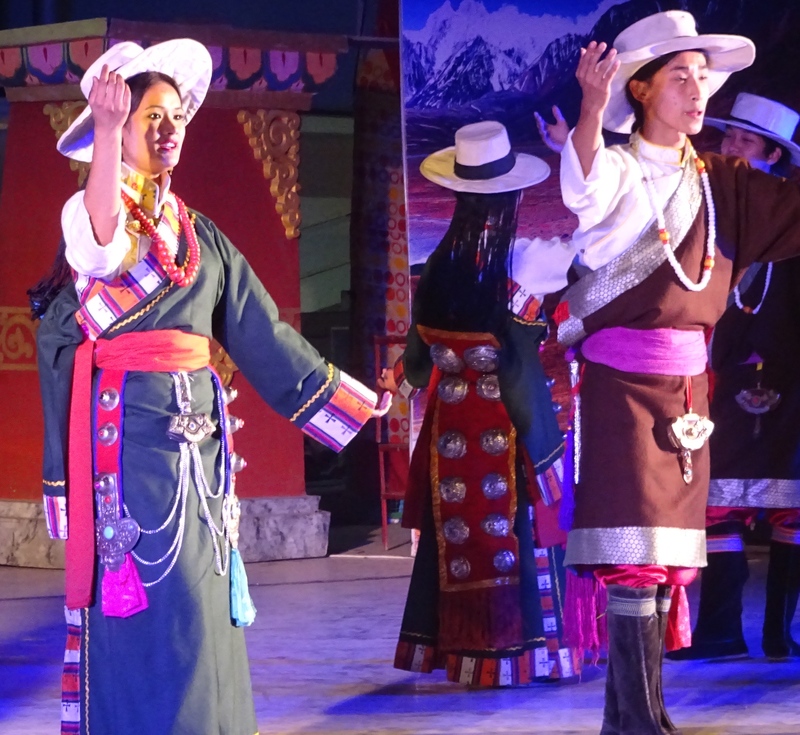 This entry was posted in Buddhism, India, Personal, Travel and tagged Kalachakra Initiation 2017, Kalachakra ritual dance, Tibetan folk dance, Yungchen Lhamo by garyhorvitz. Bookmark the permalink. Wonderful post and beautiful photos. I would like to ask you, what do you understand about the ornament of stainless light and the wheel of time? Can’t say that I understand anything about the ornament of stainless light. Next post is about wheel of time, but it won’t contain all that I know about it. Thanks for dropping by.